Motived Seller! Gorgeous One Watergate condo on the 8th floor nestled between the Ringling Bridge and vibrant downtown Sarasota. This unit offers 1,575sf of living space with 2 spacious bedroom, 2 bathrooms and a split floor plan that makes you feel right at home. New hurricane floor-to-ceiling windows, sliders, and railings replaced in 2017 allowing you to enjoy the downtown skyline and water views from your peaceful abode. New A/C unit and water heater system along with new wood flooring throughout making it a perfect retreat. There is a brand new heated pool, two new grills, two tennis court, renovated lobby and two level car garage. A Prime location to enjoy all the best shops, restaurants, arts and entertainment and within strolling distance to all the hot spots in Downtown Sarasota. Easily cross over the Ringling bridge and reach Lido Key, the beach and St. Armands Circle in record time. 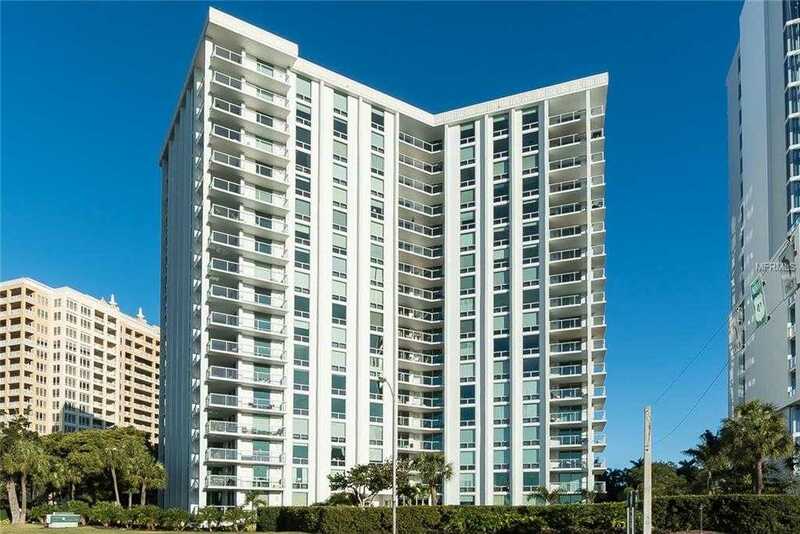 Please, send me more information on this property: MLS# A4429057 – $597,000 – 1111 N Gulfstream Ave #8e, Sarasota, FL 34236. I would like to schedule a showing appointment for this property: MLS# A4429057 – $597,000 – 1111 N Gulfstream Ave #8e, Sarasota, FL 34236.